Several ex BBC employees who now work for BT Sports TV are still good friends of the Org, and were happy and willing to share a well known 'secret' with us, namely that Dimitri Payet may have left West Ham United for Olympic Marseille but his name still guarantees vast UK based viewing figures. So much so that we have learnt that more people tuned in to view the Marseille Europa League match than those who watched Arsenal's match screened at the same time! Unless there are an enormous amount of Marseille fans living in the UK, the disparity in the viewing figures can mean only one thing, and that is that there are a vast amount of 'secret Payet watchers' who, despite claiming to despise the mercurial Frenchman for his 'traitor like' behaviour to West Ham, still 'adore' watching him weave his magic. Painful though it may be to admit it, but Payet was the only world class player the club have signed for many many a year and his performances for Marseille show just how much he brings to a team and just how much West Ham miss him. In a few years it will be possible to reveal the real reason Payet had to leave, but having been hit with law suits before we are not going to be the ones to put our heads on the block by revealing the truth, suffice to say his departure was not a straight forward 'affair' and was not football related. Some of Payet's recent actions indicate he still has a great deal of affection for West Ham United and it's supporters, it is not as if he will ever return, but in the fulness of time fans will understand why he left and how the situation was irrevocable. no, I dont watch him , still think hes a snake but still one of the greatest footballers ever to wear our colours. 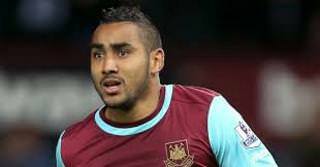 An on form focused Payet in our ranks and we would be in the top half of the table not on the verge of the drop. he stole the half time pies? It wasn't exactly football related, more female related! (so goes the rumour lawyers please note) definitely not the opinion of this site. he had his fingers in someone else's pie? Just like Tevez -- there were so many times people like David Sullivan talked about him coming back to West Ham when there was ZERO possibility of that ever happening. And don't think for one minute that Carlitos was ever going to STAY at West Ham, even without the transfer saga. He was brought to England to be put in the shop window. He and Mascherano had brilliant careers elsewhere. For me it was a surprise we got Payet, but regardless of his personal life, he was always angling for greater glory: to get back in the French team and to play for a Champions League side. West Ham was never any more than a bus stop for him. Sorry, but that's how I feel. Unfortunately seems like all we will ever be! Westham & superstars are never a good mix! !